Nayeli Noriega is a nine-month-old who loves to watch people and listen to music. KANSAS CITY, Mo. — Nayeli Noriega is a nine-month-old who loves to watch people and listen to music. Instead of crawling around at home, she has been in the Pediatric Intensive Care Unit at Children's Mercy Hospital in Kansas City. When she was about eight weeks old, Nayeli's parents noticed she wasn't acting or looking normal. After taking her to the hospital and running tests, doctors diagnosed Nayeli with Biliary Atresia, a rare liver disease that prevents the bile flow from the liver to the gallbladder. The Biliary Atresia eventually caused Nayeli's liver to go into failure. She received a liver transplant and has since been in the hospital fighting to get stronger. "The waiting was very scary," said Raul, her dad. Besides the doctors, nurses and transplant social workers, the Noriega family turned to a local organization for financial and emotional support. Kenneth Wilson founded Two 12 Sycamore after he was released from the hospital. Like Nayeli, he received a liver transplant in 2013 and had complications. Wilson was in the Intensive Care Unit for eight months after his surgery. "It takes its toll on everybody," he said. "To come here and see a seven-month-old baby go through something I went through, you have to try and help." Hospital staff at Children's Mercy say besides the financial aid, Wilson helps families like the Noriega's find hope. "They can see Kenneth is up and living his life. 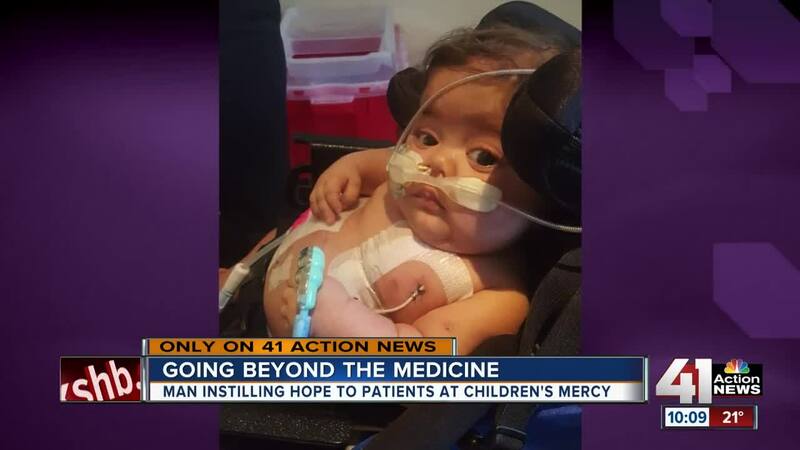 He's doing amazing and I think that instills hope for the things Nayeli will do," said Amanda Staci, a transplant social worker. Children's Mercy is always looking for local organizations to help patients and their families. To help, contact the h ospital's social work department .